If you are a registered UK charity or non-profit, our Gift Aid extension is a must-have. It gives your donors an easy way to boost their donation through the government’s Gift Aid tax incentive. Charitable Gift Aid is an instant setup plugin. Just install it, activate it and you’re done. 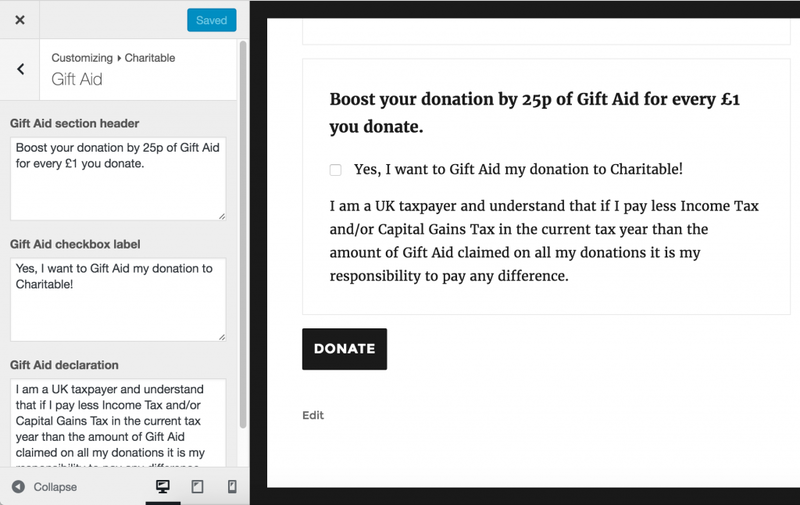 A new Gift Aid declaration section is instantly added to all your campaign donation forms. The Gift Aid declaration section is automatically added to campaign donation forms when you activate the plugin. 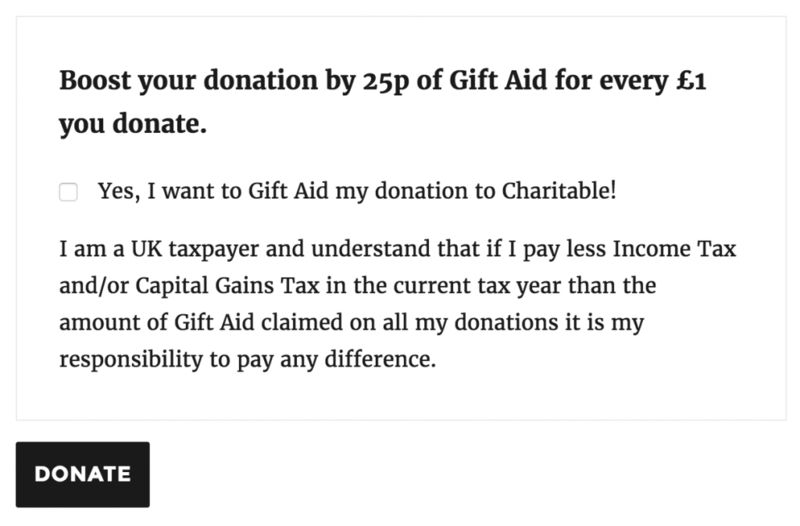 Not 100% happy with the default text used in the Gift Aid declaration section? No problem. All of the text can be easily changed with the WordPress Customizer. The Gift Aid extension also provides a special donation export tool to simplify your reporting. Just use the Export tool on the Donations page to download a CSV file with your Gift Aid donations, including all the information you need to report to the HMRC. 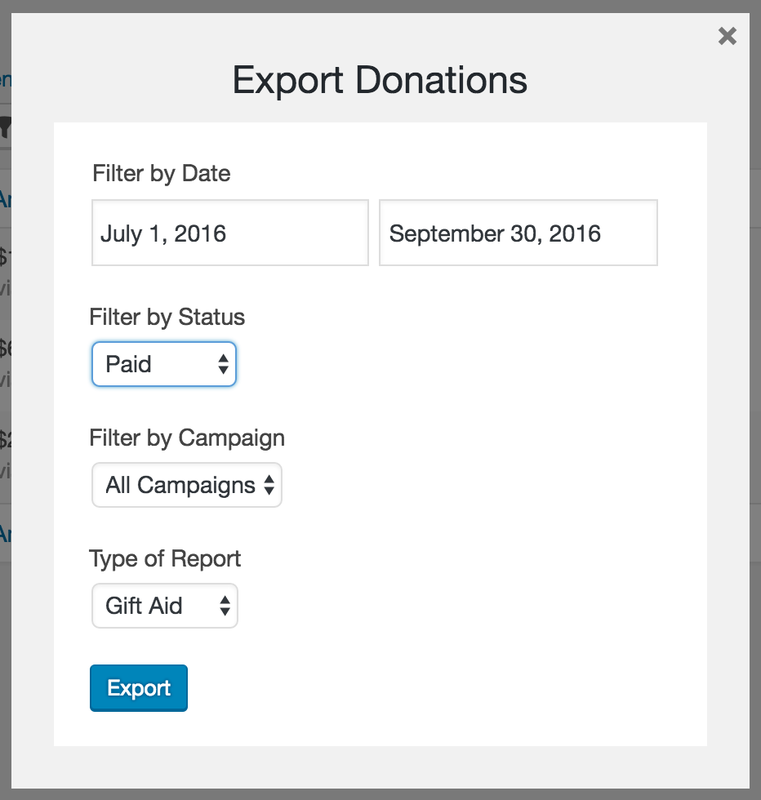 Export a CSV file with your Gift Aid donations to simplify reporting. Charitable Gift Aid is available as part of our Plus and Pro packages.